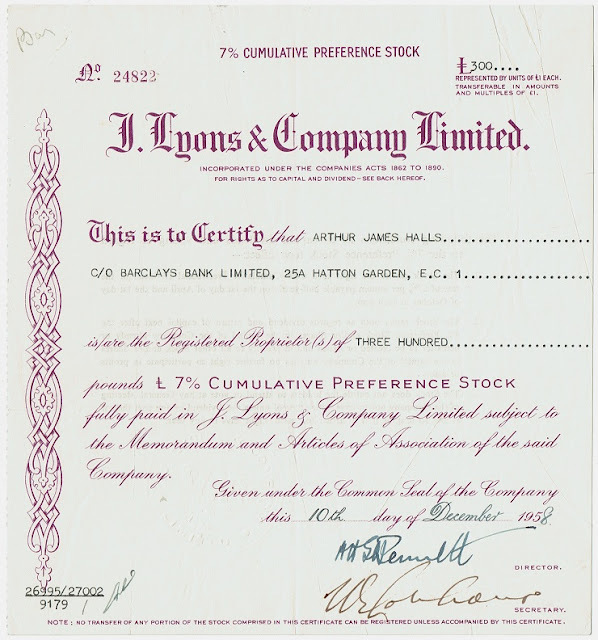 J. Lyons was a British restaurant and teashop chain, food manufacturing business and hotel conglomerate. The firm became also a pioneer in digital computing. The company was founded in 1887 by members of the Salmon and Gluckstein families. They approached Joseph Lyons who knew many people in public exhibition circles. 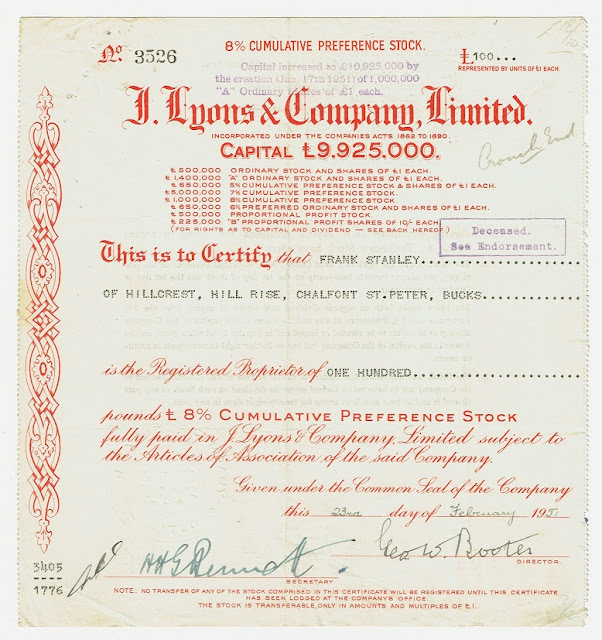 Lyons became Chairman and gave his name to the company. In 1889 the company was dissolved and re-registered as a new company with the same name. J. Lyons was reincorporated again in 1894 this time as a public limited company. Producing and distributing (perishable) food, made the firm continuously watch its business processes and profit margins. Organisation and Method (O & M) was a discipline promoted in Britain in the first half of the twentieth century as a way of raising the efficiency of administrative enterprises. 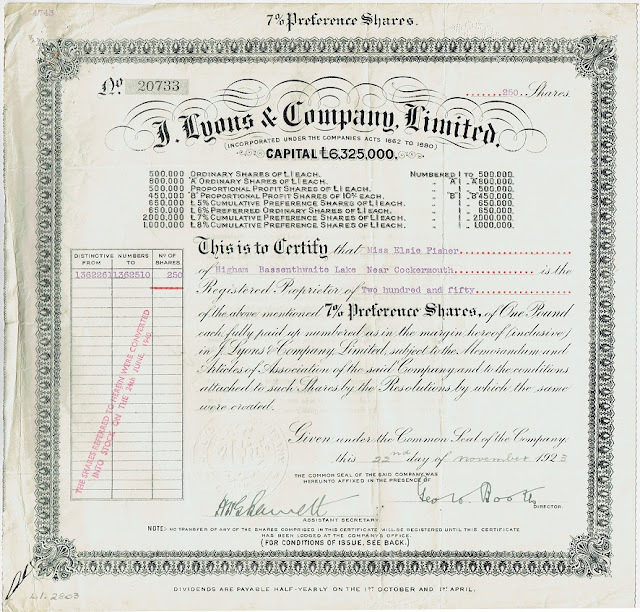 J. Lyons O & M group, created in the 1920s, evaluated the firm's accounting and production processes, but also its usage of business equipment. In 1947 J. Lyons provided additional funds for the pioneering EDSAC project at the University of Cambridge. After its completion the company decided to build a digital general purpose computer on its own. In 1954 the company formed LEO Computers Ltd to build and market its computers. UK Prime Minister Margaret Thatcher was a food research scientist at J Lyons in the early 1950s. English television personality and food writer Nigella Lawson's great-great-grandfather was Barnett Salmon, one of J. Lyons co-founders. Her uncle Harry Salmon JP was Lyon's chairman from 1941 to 1950. 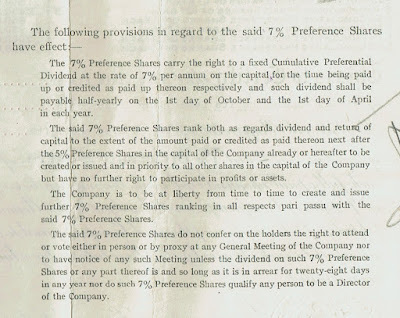 What are cumulative preference shares ? A company pays out dividends first on its preference shares, or preferred stock, before paying dividends on their common shares. In contrast to common shares, preference shares generally do not entitle the holder to any voting rights. Also, preference shares are usually callable; the issuer can redeem them at any time. When a company has to suspend its dividend, the dividend may be accumulated for future payment : a dividend in arrears. Shares with such an arrangement are known as cumulative. 1947 Oliver Standingford and Raymond Thompson, two of Lyons' managers, are on a mission in the USA to learn about new business methods and the potential of computers. There they meet researchers from companies and universities involved in early computer research. Herman Goldstine, one of the developers of the pioneering Electronic Numerical Integrator and Computer (ENIAC), tells Standingford and Thompson that, back in the UK, Douglas Hartree and Maurice Wilkes are also building an electronic computer, the Electronic Delay Storage Automatic Calculator (EDSAC) at the University of Cambridge. 1947 Standingford and Thompson visit Douglas Hartree and Maurice Wilkes in Cambridge. The latter two explain that they need at least another year to complete the EDSAC but that the development time can be shortened with more funding. J. Lyons is convinced they need a computer for their business. The company gives £3,000 for the EDSAC project and provides the support of a Lyons electrical engineer, Ernest Lenaerts. 1949 The EDSAC is completed at the University of Cambridge and runs its first program in May 1949. 1949 After EDSAC's completion, J. Lyons decides to start the construction of their own machine, based on the EDSAC design. The new computer is named Lyons Electronic Office, or LEO. John Pinkerton, a radar engineer and research student at Cambridge, becomes the team leader for the project. Lenaerts returns to Lyons to work on the project. Lyons' engineer Derek Hemy, to be trained by Wilkes, will write LEO's programs. David Caminer takes the role of the project's systems analyst. 1951 A prototype of LEO is demonstrated to Her Royal Highness Princess Elizabeth in Feb 1951. 1951 The first production model, LEO I, runs the world’s first routine office computer job on Nov 29 1951. The computer system fills a large room and uses over 5,000 vacuum tubes. Its memory consists of 64 mercury tube delay lines holding 2048 35-bit words. LEO I also has a speaker installed, which allows engineers to check certain calculations by listening to the speaker's output. The system uses special decimal/sterling binary converters because back then, the UK's monetary system is calculated in pounds, shillings and pence - a base-10, base-20 and base-12 system. 1954 J. Lyons formed LEO Computers Ltd to build and market the LEO II and its successors. 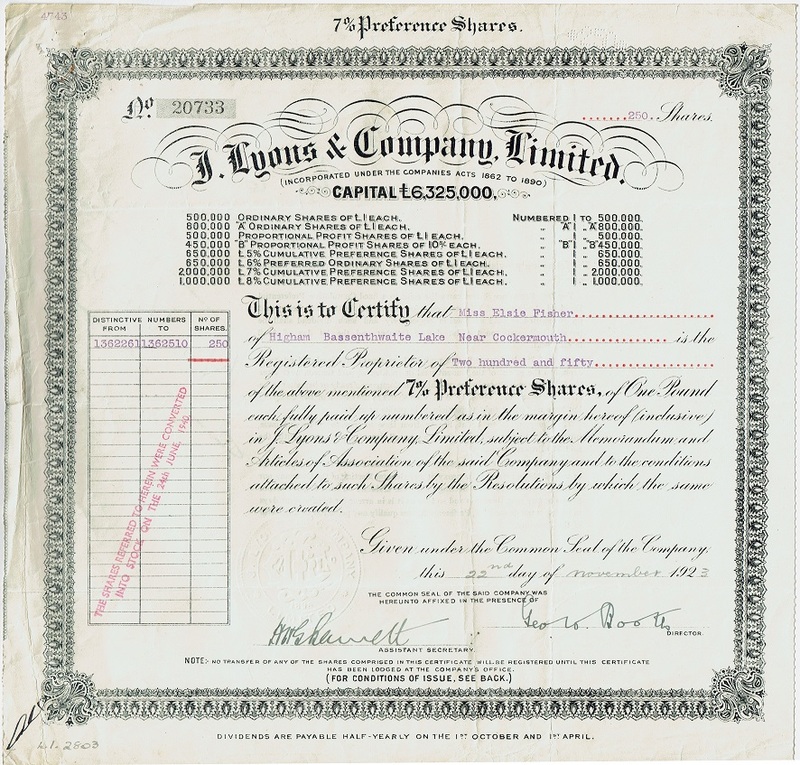 1956 J. Lyons loans its spare capacity to other organizations. LEO I performs payroll calculations and the like for Ford UK e.g. 1957 LEO Computers introduces the LEO II, also a vacuum tube computer. The LEO II has magnetic-core memories of 8192 39-bit words. Some LEO II's are equipped with a supplementary magnetic drum storage. 1959 John Gosden, a programmer at J. Lyons, develops CLEO, Clear Language for Expressing Orders, one of the first high level programming languages. Gosden corresponds with Grace Hopper who is working on the development of COBOL. 1961 LEO Computers introduces the LEO III, a transistorized version of the LEO II. LEO III is built with more than 100,000 transistors and semiconductor diodes. The machine is equipped with magnetic core memory. LEO III incorporates early designs for real-time and multi-access (time-sharing) computing. Its multiprogramming possibility allows several programs to run at the same time. The system also makes use of microprogramming, originally developed by Wilkes at Cambridge University. Microprogramming provides a way for programmers to be more flexible when writing less hardware dependent programs for the computer. The Master Control Routine, developed by Ernest Roberts and John Gosden, is an early computer operating system. 1963 The company merges its LEO Computers business with the computer interests of The English Electric Company, Ltd. The new unit becomes the jointly owned English Electric LEO Ltd (EEL). 1963 LEO 326 is introduced, an advanced and faster version of LEO III. 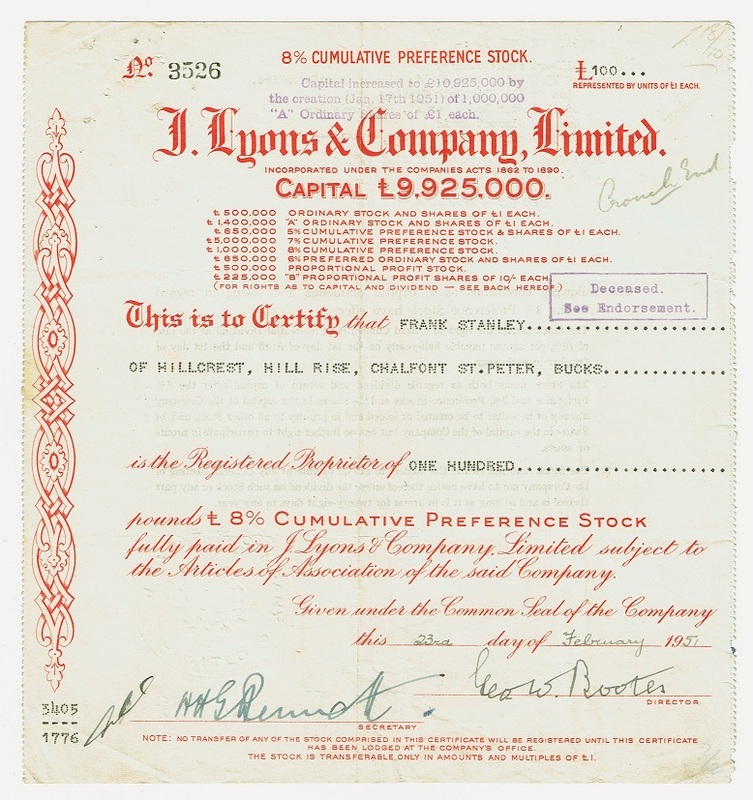 1964 J. Lyons sells its share in EEL to English Electric. In the same year, EEL absorbs the computer activities of the Marconi section of English Electric to form English Electric LEO Marconi Ltd (EELM). 1965 LEO 360 is introduced. 1967 EELM merges with Elliott-Automation - the computer activities are put together in English Electric Computers Ltd. The latter is taken over in 1968 by International Computers and Tabulators (ICL). Together they form International Computers Limited (ICL). 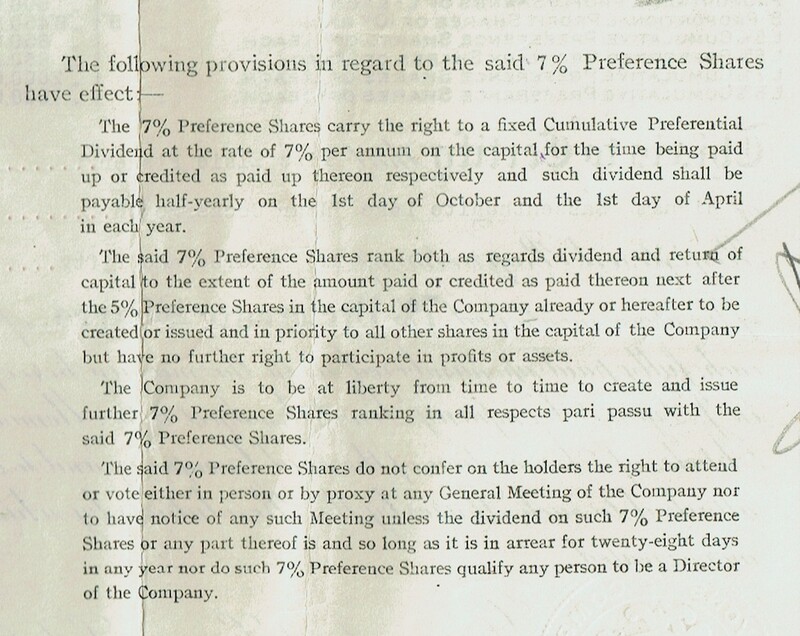 nor do such 7% Preference Shares qualify any person to be a Director of the Company.